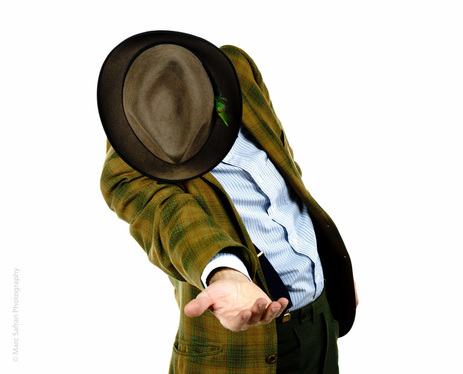 Click on the buttons to express interest in Clown, Commedia or Creation Workshops. Space is limited, so reserve your spot now. Time and Location TBD. A three week intensive for the École de la Comédie Saint-Étienne in Paris. Customized for the professional actor training program to explore the daring and emotional availability of the individual performers through Clown and the Creation of Original Material. ​In the Spymonkey clown masterclass, you will learn to discover what makes you funny, hone your skills and practice making an audience belly laugh! Through clear and specific instruction, Aitor will support you to develop and hone your comedic skills in a safe and fun environment. This positive group dynamic will allow you focus on following your impulse, being adventurous and taking risks. You will learn how to shine as an individual and improve on every spontaneous opportunity. In this highly enjoyable workshop you will play games, do exercises developing trust and complicity with the group. In this atmosphere of discovery and revelation, you will be developing and showing new material. Be prepared to find the pleasure in your own ridiculousness, stay optimistic, discover your comedy gold, and get ready to laugh until your face hurts. April 17 - An intensive for the Graduating Class of Students at the American Repertory Theater at Harvard. ​Customized for the professional actor training program to explore the daring and emotional availability of the individual performers. 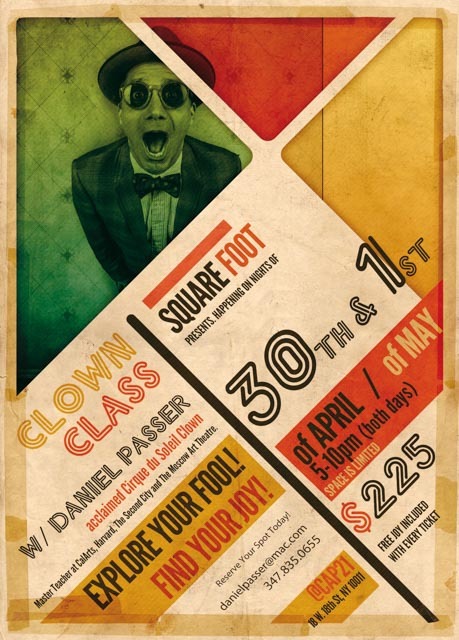 In this Square Foot Clown masterclass, led by Cirque du Soleil Clown and Creator Daniel Passer, you will explore what makes you uniquely funny. 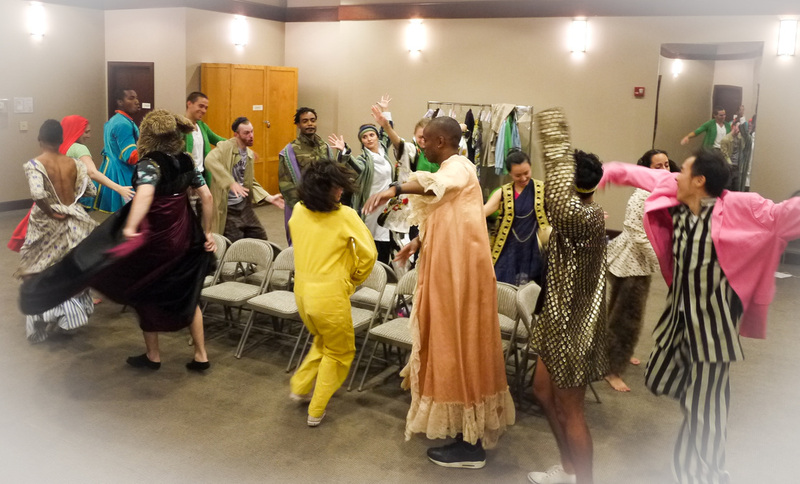 There is no one way to find your inner fool, so, we incorporate clown, Commedia, improvisation and ensemble work to create a joyous environment to take great risks. You’ll discover or take a leap forward in finding and honing your personal fool as well as learn techniques to develop material from your clown’s point of view. To register, please email signupforworkshop@gmail.com with your interest and previous training. acclaimed Cirque du Soleil Clown and Aerialist. 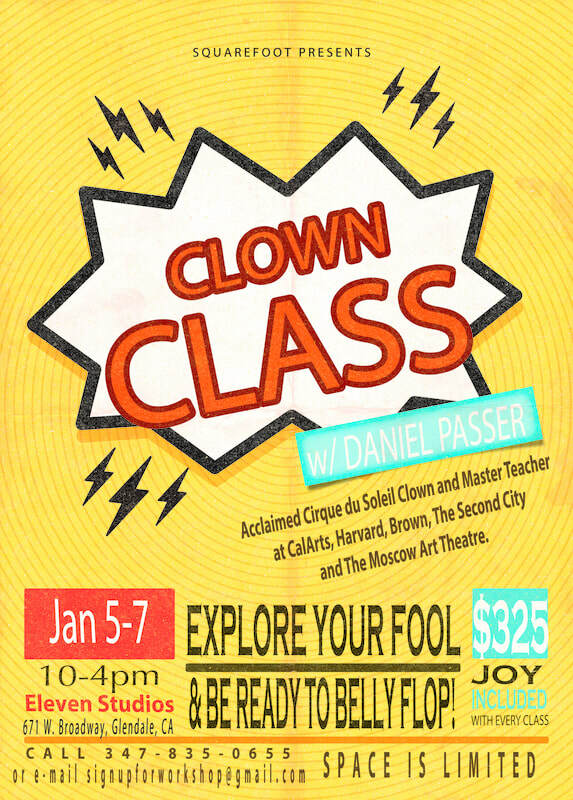 Find your own personal fool and live in moment-to-moment work in Clown. Create character and story with a heightened sense of physical awareness. Move, breathe and play to access the intelligence of the body and open yourself up to a creative breakthrough. 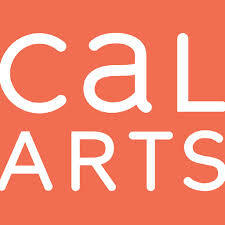 This workshop is custom designed for the MFA Directing students at CalArts Film School. The aim of the exercises is to expand the tools of the directors and give them a greater vocabulary for working with actors on their films. Clown, Commedia, Ensemble and Scene Study Techniques are used in this director driven class. An intensive for the 2nd Year MFA Students at the American Repertory Theater at Harvard. An evening of beautiful chaos! Behold the original creations generated over the past 2 months of sweat, tears and, yes, Panic! and have a sense of fearlessness in your auditions and performance! University, The Second City and The Moscow Art Theatre. An eight week class focusing on creating new work from scratch. 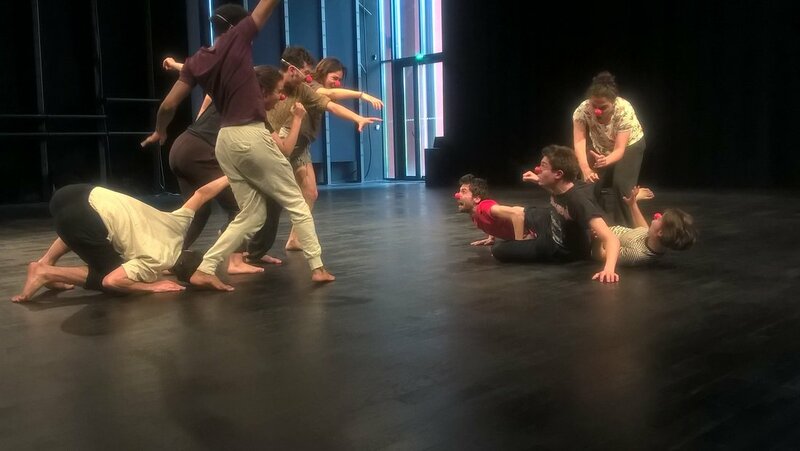 The weekly workshop will incorporate Clown, Commedia and Ensemble Theatre techniques with the aim of devising original work specific to the participants strengths, specialties and stupidities. Delving into the beautiful chaos and ferocious simplicity of your individual Fool. Exercises will be customized to each player as we investigate playing and playing hard. This is a place to further explore or find anew. Discover, Surprise and Offend your senses! Hasn't it been long enough since recess? And be ready to Belly Flop! Discover, Surprise and Offend your senses! Hasn't it been long enough since recess? Run Wild. And be ready to Belly Flop!